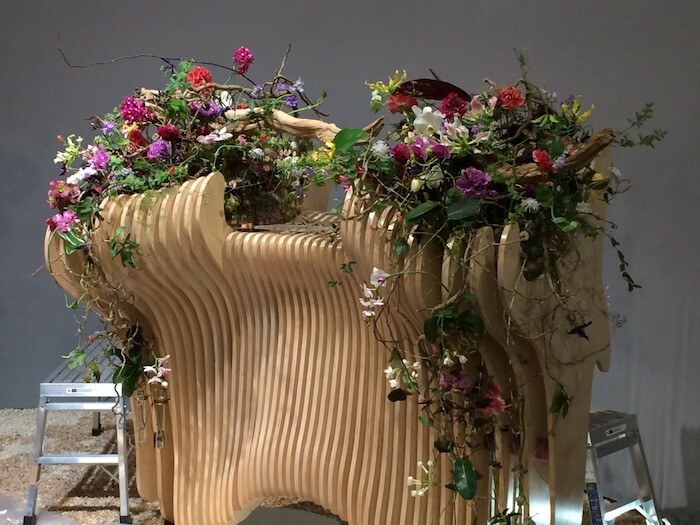 At the beginning of this month, Philadelphia was host to one of the biggest floral events of the year - the Interflora World Cup. We sent our very own Mayesh Miami Sales Rep Steven Watkins to get in on the action and report back on his experience. Read on to get a peek into the incredible event that is the Interflora World Cup! FTD World Cup, WOW! 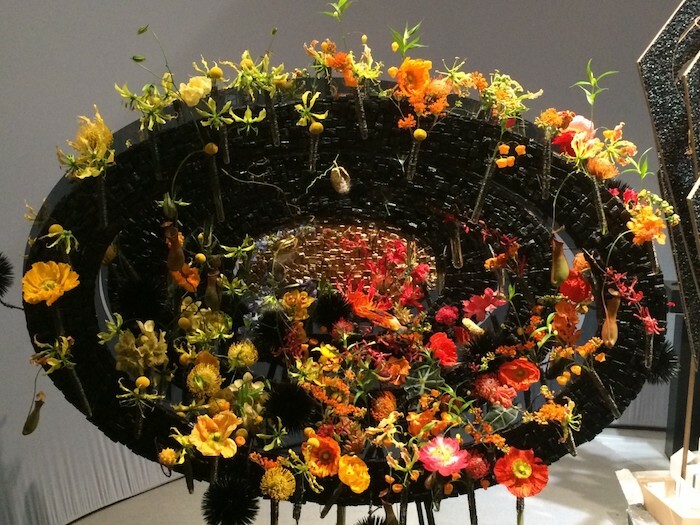 What an experience, thousands of floral enthusiasts from around the globe descended on the Philadelphia Flower Show for three days of floral competition at its highest level. Overall, 23 global competitors competed for the coveted title of World Champion, throughout this three-day event. 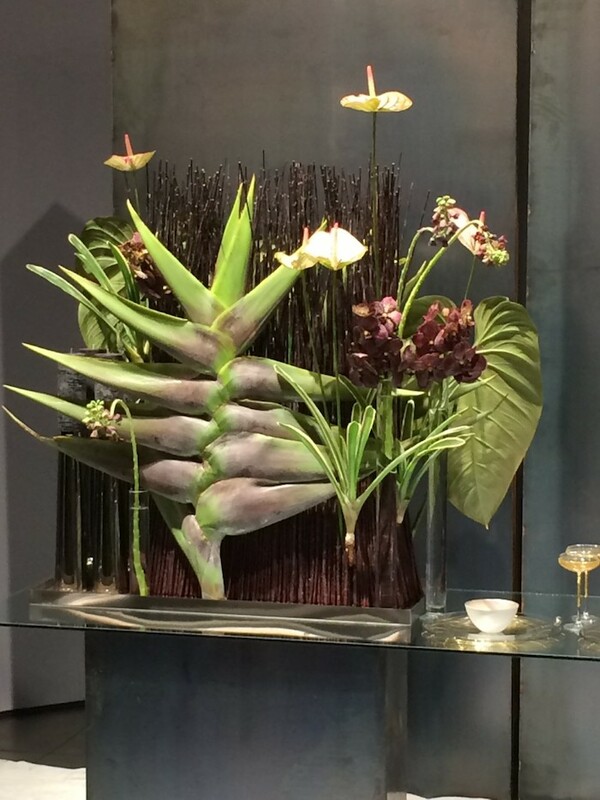 Part 1 - The first theme being Harmony in Architecture, the challenge was to have a 70/30 mix of botanicals to structure in a minimal two hour time limit, and to make sure that the smallest details had meaning and purpose in their architectural arrangement. Each designer created their structure prior to arrival at the competition, some as large as 7 ft by 7 ft. This left two hours to complete all florals, and what a whirlwind! 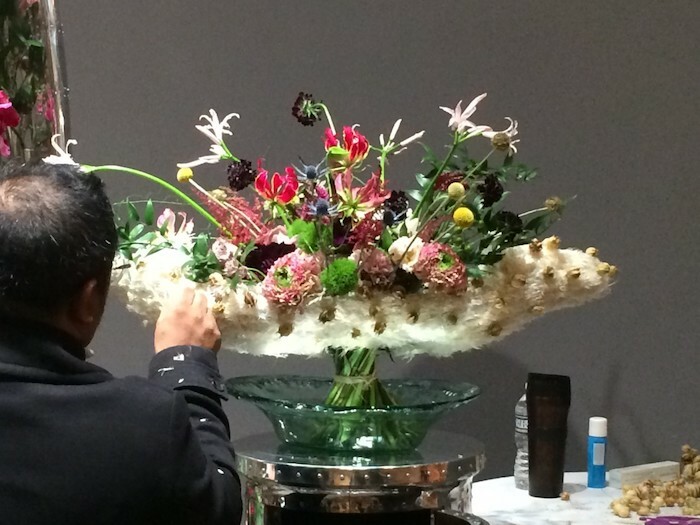 Twenty-three competitors to view as they worked with the most luxurious flowers globally available, building their works of art, adding layer after layer until time ran out! Twenty-three works of art, as different as the creators who made them. 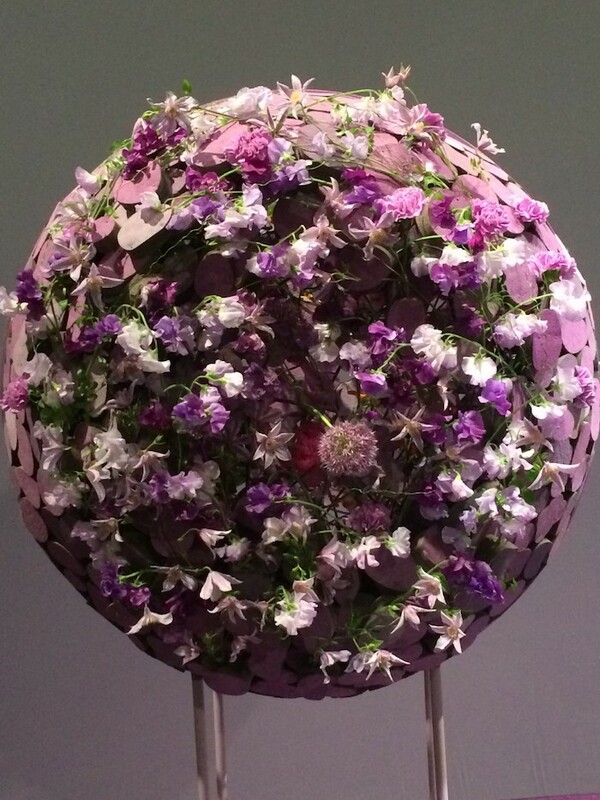 Part 2 - The second theme was Hand Tied Bouquet, Strength of Color. 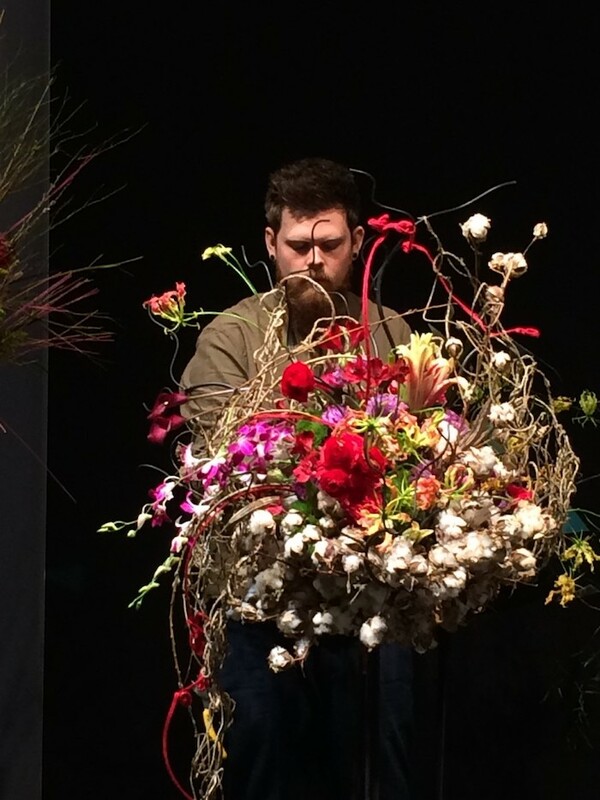 The competitors were challenged with creating a bouquet that speaks to an observer and demonstrates how color and light are inseparable. Additionally, the bouquet must be able to be held in one hand. 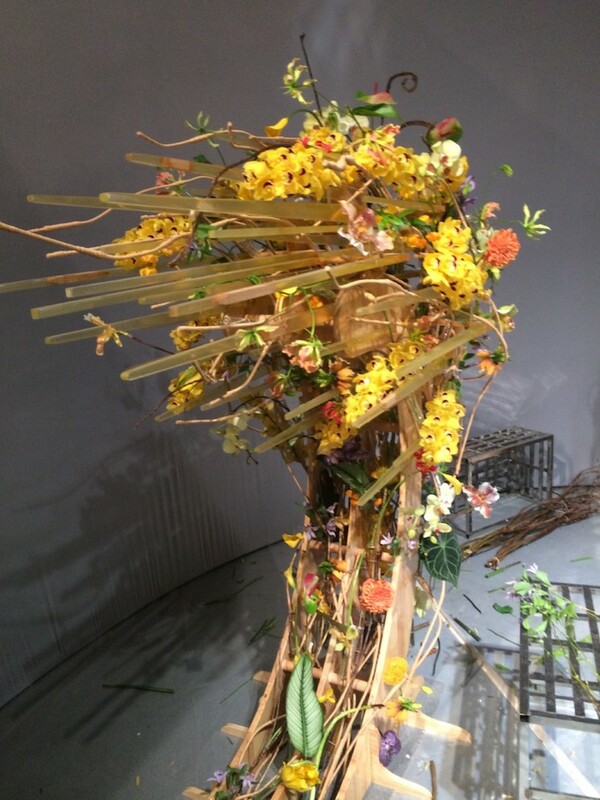 All of this in just ninety minutes - flowers and hands flying, exquisite bouquets created, some with armatures, some without, tight and clustered or loose and airy -the styles as different as the countries the designers came from. Dreamy pastel colors to hot and bright, every flower had its day, from carnations to luxe vanda orchids in gorgeous color stories. The competition was strong, with everyone putting their skills to the test! At the end of day one, the crowd was as exhausted as the competitors, complete sensory overload, so much to take in, so many design styles to evaluate and consider, what a tough choice this was going to be. Part 1 - To kick off day two, the theme was Table for Two - The Power of Flowers. The challenge was to create a complete table setting for two that interpreted life changing transformation through love and hope. 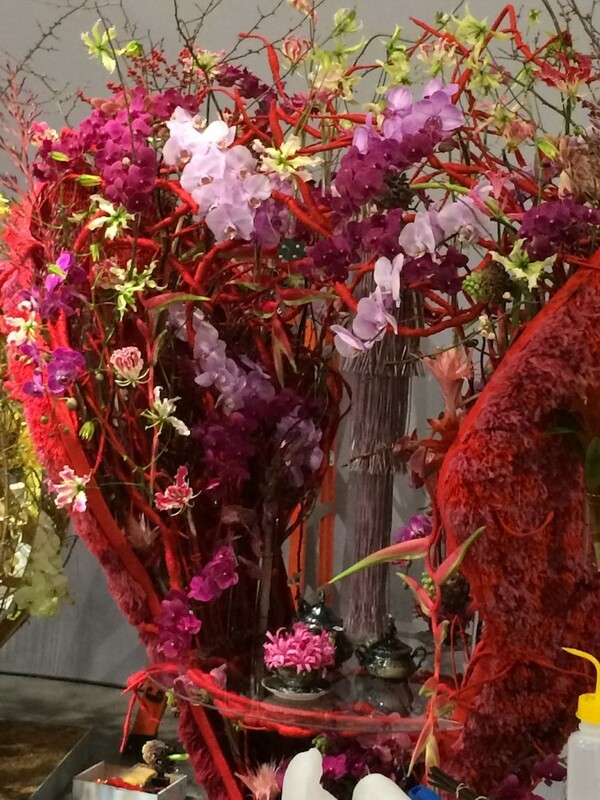 The power of love to be featured through flowers and the design should stimulate at least four of the five senses. With only two hours to complete this monumental task, everyone had laser focus and steadily worked their way through the designs. From strongly architectural to completely whimsical, each table for two expressed the theme, love and emotion through flowers. Expectations were high and everyone was thrilled by the outcomes of the designs, amazingly strong competition, although leaders were certainly starting to emerge from the previous days competition as well as the morning session of day two. Part 2 - A “surprise” basket containing American Grown Flowers, which seemed to throw a few designers for a loop, moments of hesitation and then they were off. With just ninety minutes to go, some narrowed the flower choices to a minimum, others using every item. Containers and stands provided by a sponsor were used in a variety of ways, with many people turning the stands on their sides and using them as a base to build arrangements with stems in plates of water, others taking the more traditional floral foam route, building creations in concrete containers. This challenge really separated the field and everyone was excited to attend the Semifinal Reception dinner to discover who would be moving on, from a field of twenty-three it would soon be narrowed to 10. By the third day, the competitors had been narrowed to 10, with the cream of the crop rising to the top. This morning's challenge was another surprise basket with a two-hour time limit, designers choice. For those in the crowd who had not attended the Semifinal Reception, it was a mad dash around the hall, checking to see if their favorite designers had made it through to battle on today. Although everyone was a star, unfortunately some had been knocked out due to flowers dying, and structures falling, making it impossible to stay in the competition with such a strong field. At this point, at least in my mind, there were two people who clearly stood out from the others - these two would go on to win the night along with Second Runner Up, Tamas Mezoffy of Hungary. Congratulations to Bart Hassam of Australia, whose bold, clean, architectural, east meets west designs won him the title of World Champion, and to First Runner Up Natalia Zhizhko of Russia, whose elegant, feminine, whimsical designs were as delicately beautiful as Mr. Hassam’s bold architecture. 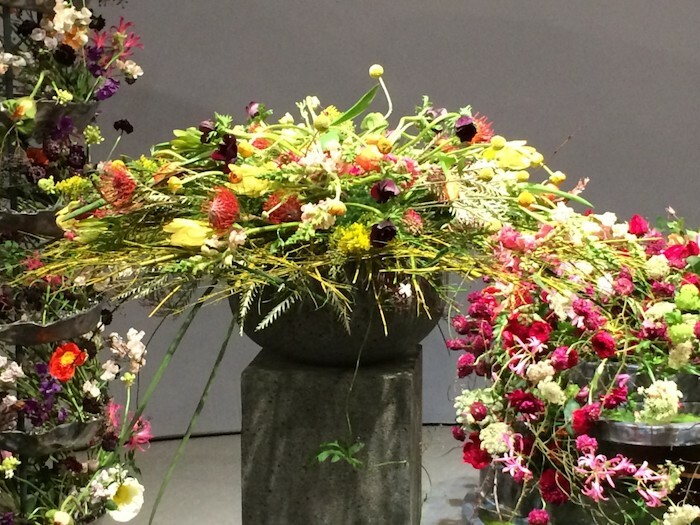 For a World Cup newbie like myself, I am now truly enamored by competition floral, and certainly intend to make a spot on my calendar (as should everyone interested in the Art of Flowers) every four to six years to attend what can only be considered the pinnacle of floral design.